Last May I went on this trip. My good friend Thomas was getting married to Christine in the vicinity of Stuttgart. I was invited. 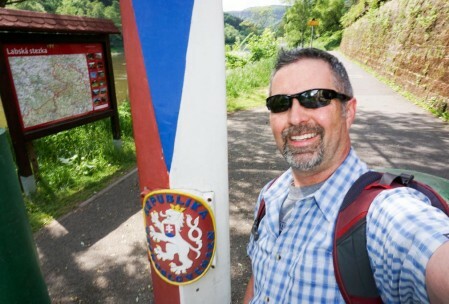 Then I decided that since I was going to Germany anyway, I might as well spend some time back in the ol’ mission field. I sometimes struggle with vacation. The one previous to Dresden, in which we drove around the South Island of New Zealand hiking to glaciers and waterfalls, eventually wore me out. I didn’t want that again. 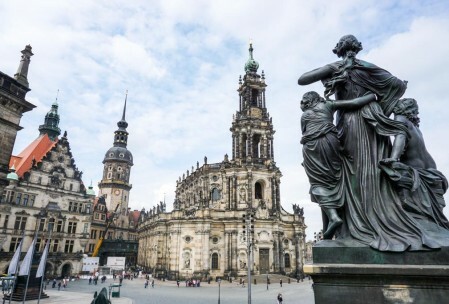 Also, I didn’t want to go to Dresden and have it turn into a greatest hits situation, when I was just re-touring the same places I’d toured in previous trips to Dresden (1992, 1995, 2002, 2006). 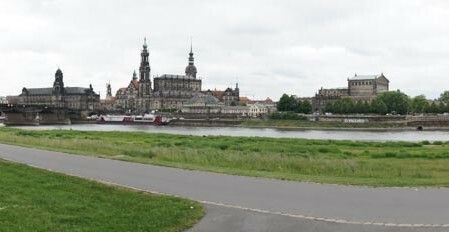 So: a home base trip with Dresden as home base and finding a set of places to visit that were theretofore unvisited. Anyway, it worked out pretty well. Flight: OKC to ORD, ORD to FRA, FRA to DRS. The FRA to DRS was such a cute, under-full flight, it was awesome. 737-300 IIRC. Very retro. 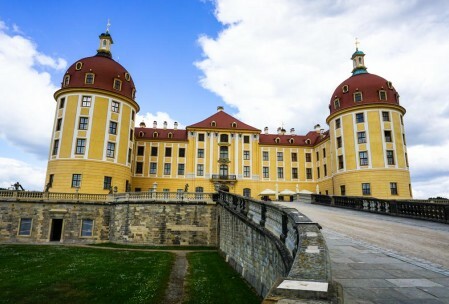 When I got to Dresden, I had to wait a couple hours for my rental car to be ready (because I’d entered an incorrect arrival time). Eventually ended up with an A3 TDI. But this was before TDIs were known to be evil. 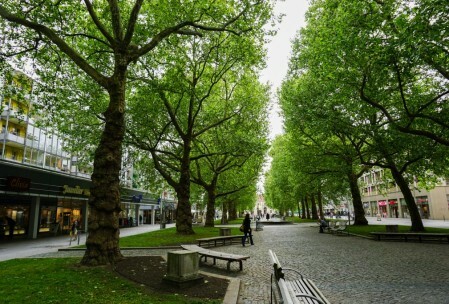 Then I drove to my hotel in Dresden-Neustadt and commenced to walk around all day trying to stay awake until at least 8 PM (des Jet Lags wegen). Got a SIM card from the Vodaphone store; the guy there was very helpful, very cool about it. For dinner, I had some Turkish food that was terrible. 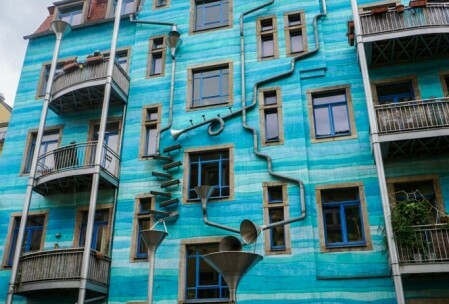 The building plays music. The music sounds similar to rain hitting aluminum. 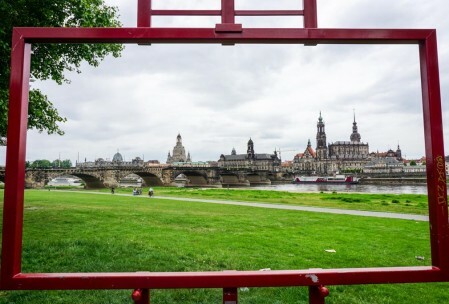 Dresden Altstadt through the “Canaletto Window”. Day two, I woke up. I had taken enough Simply Sleep and Melatonin to keep me down until 6 AM, which I thought was a pretty good feat. Hooray for science!, etc. 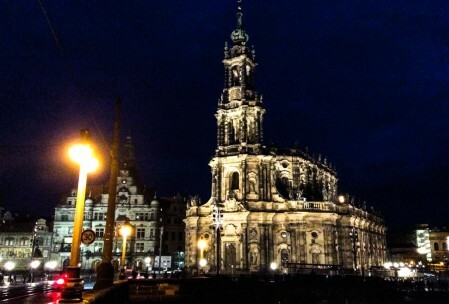 Went around and saw many of the same old sites in Dresden’s Altstadt. 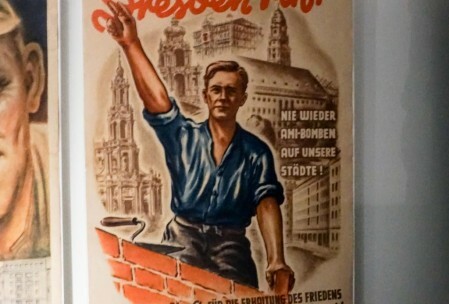 While doing so went against my intent to “only do new things”, (a) there was a lot new about Dresden’s Altstadt vs. the last time I had been there back in 2006, and (b) it would seem kind of messed up to visit Dresden and somehow just avoid the entire Altstadt. Messed up in the negative sense. Eventually, I did something new on Day 2 by first going to the Mathematisch-Physikalischer Salon at the Zwinger and then, in the afternoon, visiting the Military History Museum. The salon was a cool visit; back in the old-days, there were official timekeeper-astronomers, who established what the official time in Dresden was, based on precise measurements, etc. On display there were a number of related instruments (z.B. very early telescopes), a huge assortment of watches and clocks throughout history, and some art-tools, such as the world map that had a different clock (and time) for all 360 degrees of longitude. The salon appropriately (?) investigated, I caught a Strassenbahn up to way-outer Neustadt for the military history museum. This museum was likewise empfehlenswert. Not only does it display a military history focused on German military exploits, but it does so from a staunchly pacifist perspective — which isn’t really what I, as an American, am used to from a military museum. 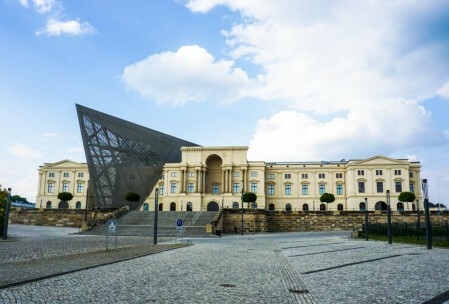 Whereas American military museums are very ready to make cool war stuff come across as cool war stuff, the museum in Dresden is considerably more circumspect (you mean war has a non-glorious downside?). As a result, you don’t leave the place wanting to volunteer yourself, buy an extra couple flags for the front yard, or even underwrite a new trillion-dollar (-euro, -DMark) fighter plane appropriations bill. The Hofkirche taken from the steps of Brühl’s Terrace. 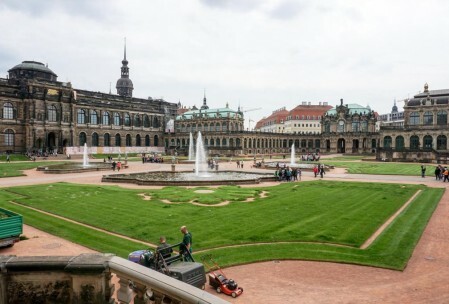 Courtyard of the Zwinger with lawn crew. Facade of the Military Museum with symbolic architectural flourish. 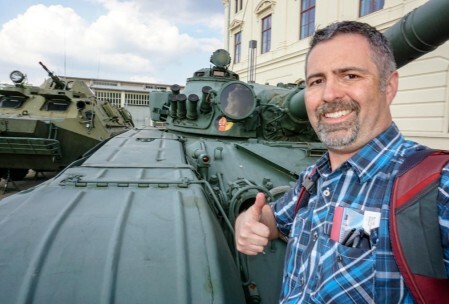 Me with a Soviet-built DDR tank. There was an outdoor display of West and East German military vehicles. The West’s were better (was the message). 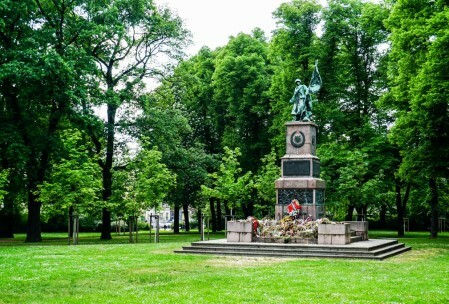 Soviet war memorial in the vicinity of the military museum. For Day 3, I asked the hotelman to rent me a bike and he did. So I rode the bike to the Neustadt Bahnhof, bought a ticket for Schöna, and missed the train leaving for there by about 20 seconds. 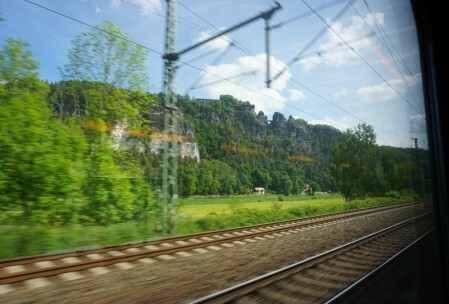 Waited for another half-hour, then took the next train south into the Sächsische Schweiz. 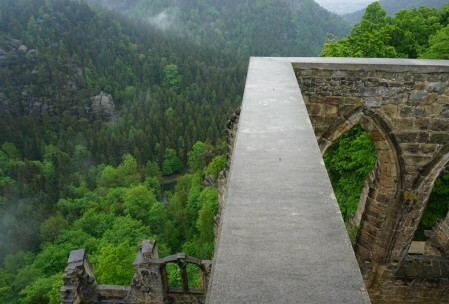 One nice thing about Dresden-area tourism is that I feel no compulsion to translate place names out of the original (because, really, does Saxonian Switzerland mean any more to anyone than Sächsische Schweiz? eh, maybe, whatever). 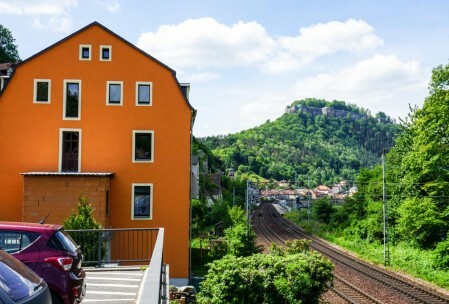 Got off the train in Bad Schandau, because that’s where the train stopped (it would have been another 30 minutes in Neustadt to get the next one to Schöna is why). 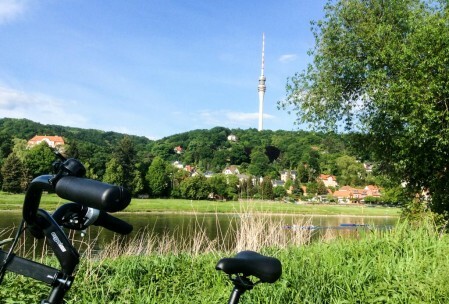 Rode to the Czech border, then rode downstream back to my hotel in Dresden, following the Elberadweg, a bike path that follows alongside the Elbe river all the way (supposedly) to the North Sea. 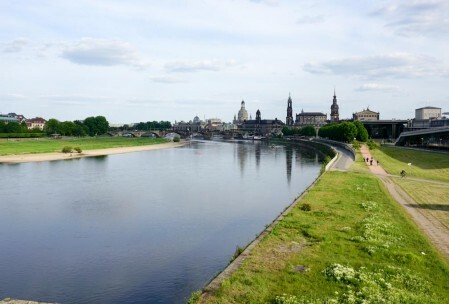 There aren’t a lot of places to buy water between Pirna and Dresden. 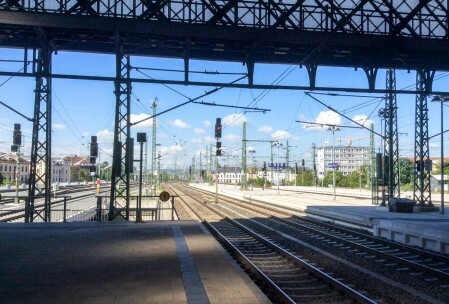 Waiting for the train in the Neustadt Bahnhof. Bastelbrücke on the train ride up the river into the south. 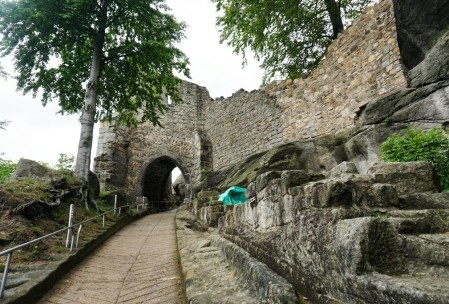 Festung Königstein from the Königstein Bahnhof. 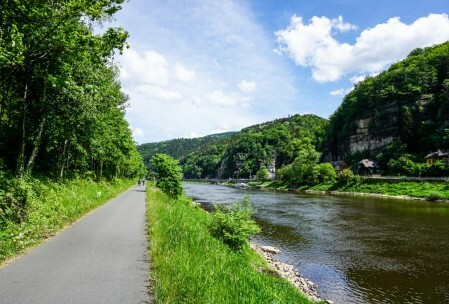 Rehbraten in Königstein. On the one hand, the small towns in Sachsen are pretty awesome. On the other, at some point someone there reminds me that the citizenry are largely nationalist populists. The Dresden Funkturm. No tourists allowed :(. Day 4 was a Sunday, so I drove out to Mittweida, one of my old wards from the mission days, to attend church. It was a great experience. I recognized pretty much everyone. They had no clue who I was. So it goes. Nevertheless, could not have been a warmer welcome. It made me resent the church in Oklahoma just that much more. Well played. A lot of good conversations and friendliness. 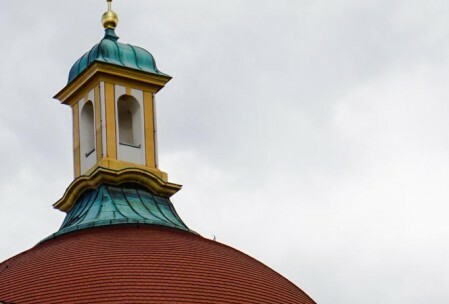 This being Sachsen, they asked me to talk in sacrament meeting and then, after church, I fielded multiple invitations to come over for dinner. 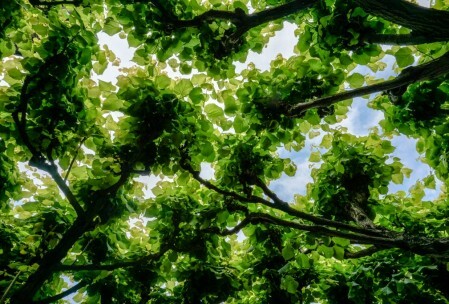 I remember when I was a missionary (a) being very tired and (b) thinking my mission president was ill-suited to leadership, but more to the point (c) thinking it was kind of amazing the extent to which the church members (in the small-town wards in particular) took care of each other and the missionaries and how they seemed very unlike what I would expect of myself as a church member back home. This seems to still be true. Or it least, it did as of May 2015. I was inspired by this post from Erin Jensen back in ’13 to visit Oybin, a place of which I had theretofore not heard. I drove rather than taking the Schmalspurbahn. Parking was weird. 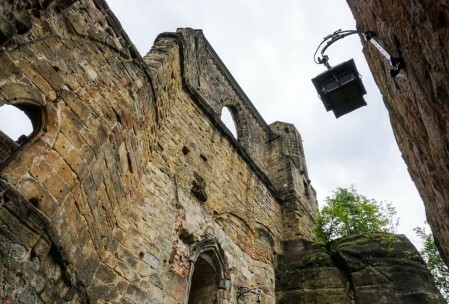 There’s a ruined old cloister up there in the mountains. The pictures tell most of the story that there is to tell, but basically it’s like spending a few hours in a Caspar David Friedrich painting. 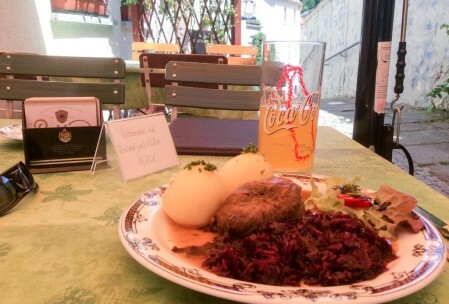 And then I had some amazing sauerbraten with böhmischen klößen at the bottom of the hill. 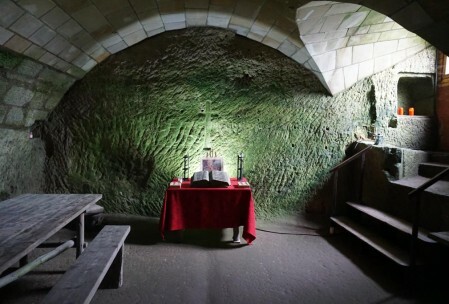 One of the coolest sites I’ve ever visited, whether that shows up in the photos or not. Oybin is located in the Zittauer Gebirge. Mountainous area. To get up to the ruins, you have to climb a mountain walk a gentle uphill path. Path to the entry gate. 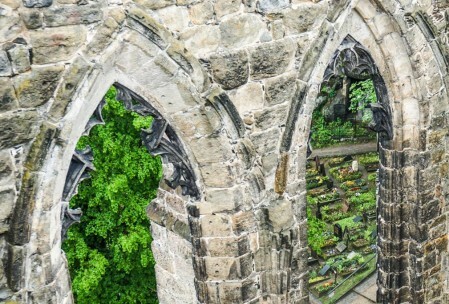 Gothic windows and the cloister graveyard. Mountains (click this one a couple times to get the full panorama). Looking down on Oybin town. 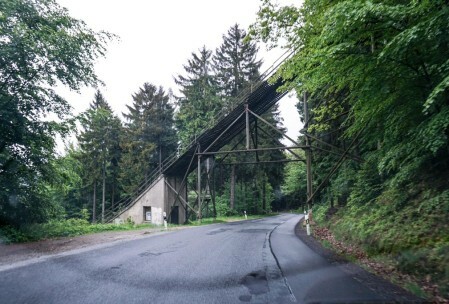 Also nearby was this ski jump that you drive under and that probably has a pretty good view of the ruins on a clear day. 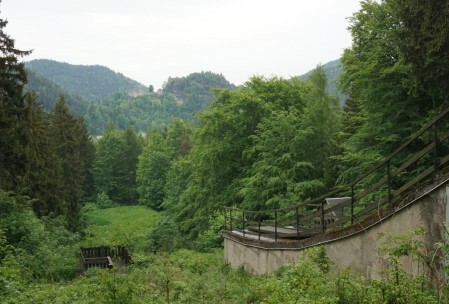 Off in the distance, the ruined cloister and fortress. 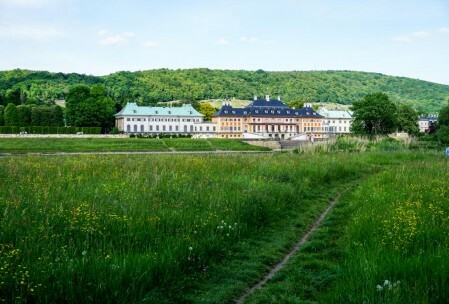 Back in the day when Saxony ruined all of, well, Poland, the prince of Saxony built a lot of stuff. 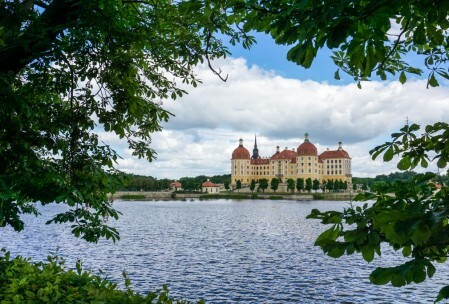 Among those things were this vacation home, Moritzburg Castle, which originally went up in the mid-1500s. America had been discovered, what else was there to do? Had hunting grounds, a couple lakes, yellow castle, some pretty decent landscaping. I went into the castle. They forbid photography for some reason. OTOH, there wasn’t really all that much to photograph — old beds, old tapestries, a lot of mounted antlers, some fine china and silverware. But the outside was pretty legit. There was also a restored Ju-52 airplane flying around (apparently Lufthansa did the restoration and tours Germany selling rides). 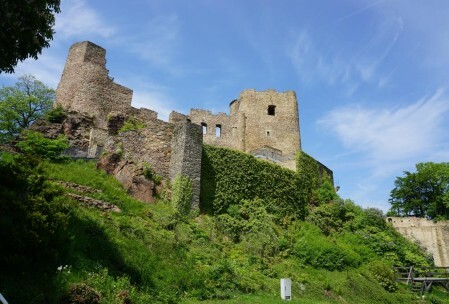 This is the “Little Pheasant Castle” apparently — IIRC, this was sort of the hang-out when the nobles would go hunting on the castle grounds. 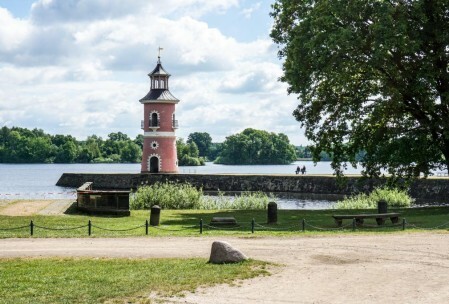 The castle has its own lighthouse. For all the heavy shipping that happens on the lake. It’s built on an island in the lake. 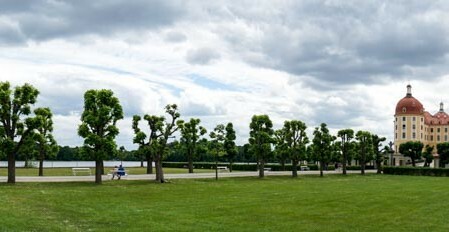 Panorama from the gardens (again, click twice, get the full experience). I had to help revise a draft of a paper on Day 7. It was therefore sort of a work day. Which I guess was okay. Walked around Dresden some. Took a couple more photos. 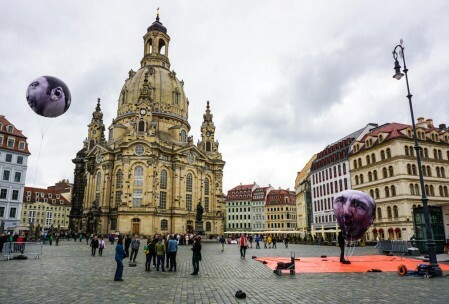 The Dresden Frauenkirche. The G8 was in Dresden that week. The balloons are of the leaders’ faces. Hofkirche at night with an iPad. 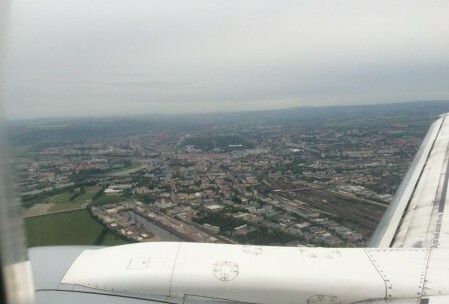 Fine, Day 8 was more about leaving Dresden. 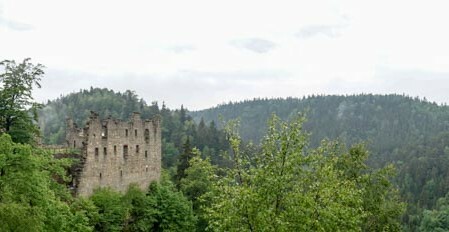 But on the way out I stopped by a few places: Glashütte, Seiffen, and some ruined castle the name of which is lost to the ether. 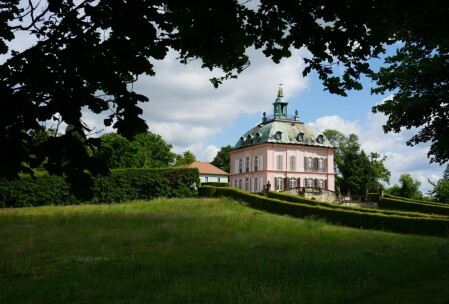 Glashütte was/is the center of German fine watch making. They took a break during DDR times, but now there are several watch factories in the small town, many (most?) exclusively manufacturing hand-made watches. If you want to pay $50,000 fora watch that you still have to wind by hand, this would be a good place to look. Seiffen, on the other hand, is the Saxonian center of small, wooden Christmas decorations, so, you know. 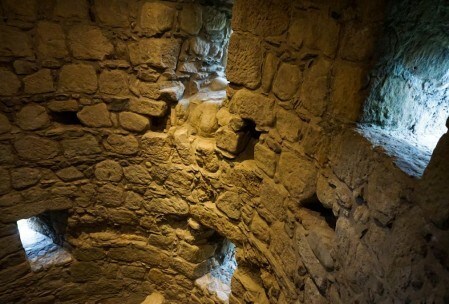 Then the place the name of which I’ve forgotten is a fortress that doesn’t exist any more. And my camera battery died after three photos there. 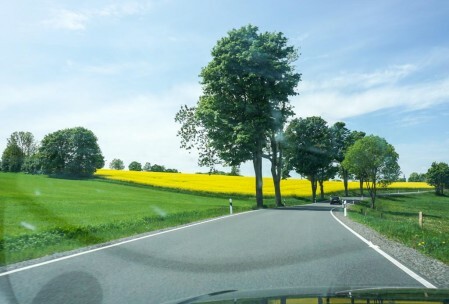 Landstrasse with rapeseed in full bloom. 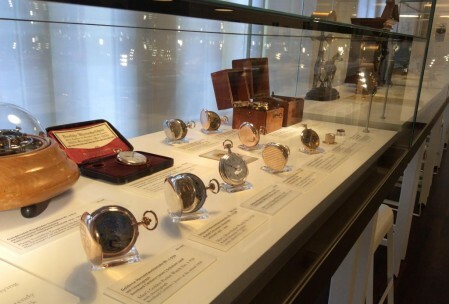 The watch museum in Glashütte. 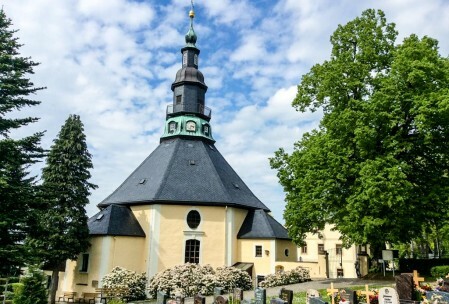 The famous church in Seiffen.